One of the hottest trending hashtags is #sochifail, which details the mud, unpaved roads, dangerous ski runs and waterless hotel rooms at the Sochi Winter Games site. 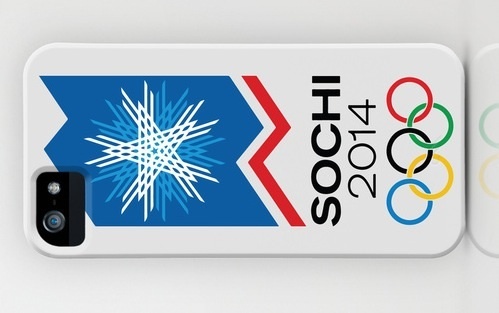 However, the latest bit of Sochi Fail has Samsung’s fingerprints all over it — Apple logos are banned. Official Winter Olympic games sponsor Samsung has put a Galaxy Note 3 in every Olympic athlete’s swag bag, but the phablet comes with a big-time quid pro quo — athletes using an iPhone, or any other device, during games opening ceremonies must physically cover the logo. While members of the Swiss Olympic team were pleased to find a “free” Galaxy Note 3 in their swag bags, Samsung’s quid pro demand that the logo on their iPhones be physically covered likely struck them as petty. Although Samsung’s Sochi games marketing budget isn’t known, the Korean electronics maker purportedly spent $100 million to sponsor the London Summer games in 2012. For what it’s worth, Samsung’s overall 2013 marketing budget is said to have topped $14 billion. Fundamentally, Samsung has paid tens if not hundreds of millions of dollars to be an official Sochi Winter games sponsor and, as far as they can possibly control, they want to prevent any Apple logos from spoiling the show. And, what will happen to an athlete who, on purpose or otherwise, exposes an iPhone with the Apple logo visible during the opening ceremony? Probably nothing, at least nothing publicly. Samsung has set itself up to look dumb just by asking athletes to police themselves and cover up the Apple logos on their iPhones. Just silly.